Lots of bloggers have been sharing their top 5's of the year, and I thought I'd shamelessly jump on the bandwagon with mine. It's a good way to look back and see what you've achieved during the year, and what has been most successful. 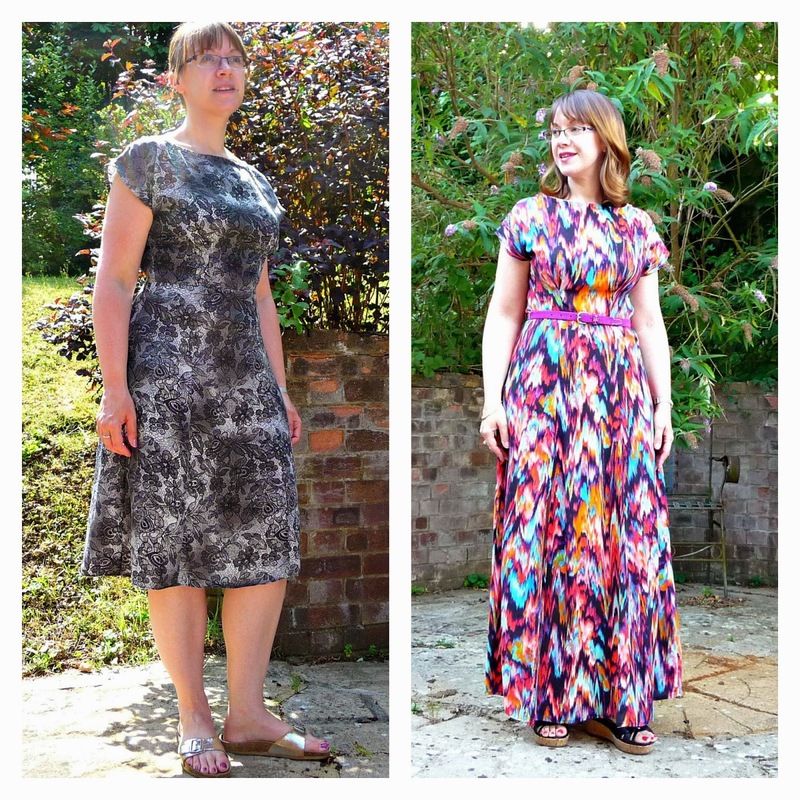 As you might expect, my top 5 is dress heavy! The top spot has to go to my 2 Anna's. 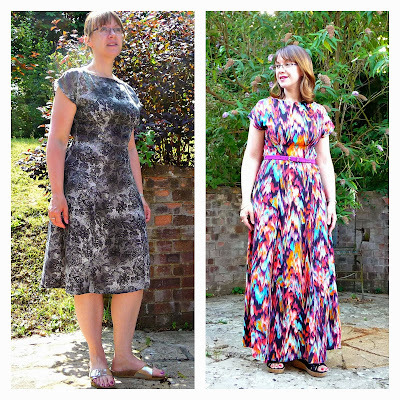 I made the grey one first and wore it a few times, then quickly made the maxi version, which got worn to death. The grey one had been languishing in my wardrobe unworn, as it never felt quite right, but last week I got it out, shortened it by 2 inches and have worn it 3 times since! This style is so flattering on me, I absolutely love it. 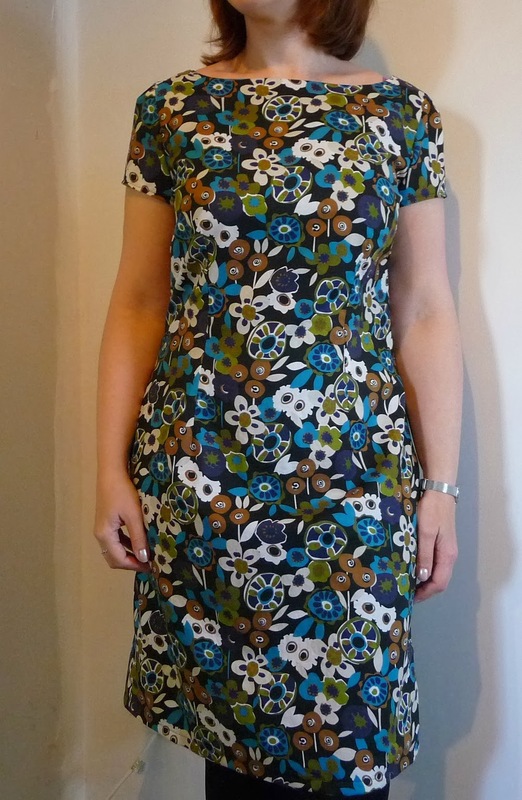 I'm now planning a 3/4 sleeved version using By Hand London's (very simple) tutorial, and also looking into different skirt options, such as this straight skirted version by Dolly Clackett (she's made loads of Anna's!). My next choice is another dress, my first Minerva Blogger Network project, a New Look 6000 dress. 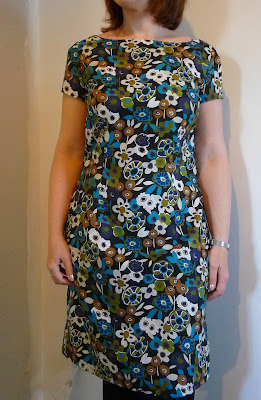 Another flattering shape for me (I've realised I need to wear things that highlight my waist) and a favourite pattern this year. And this fabric is gorgeous! In the short time since I made this it's been worn a number of times, and the print means it goes with several different cardigans in my wardrobe. I think it will look good on it's own in warmer weather next year as well. Another couple of dresses, but not for me this time. Third place has to go to the wedding outfits I made this summer for Jenny and Laura. 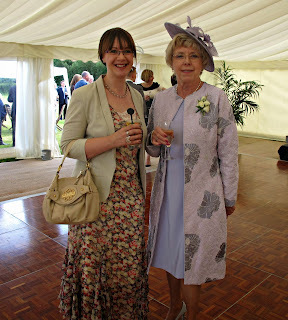 Jenny's was a dress and coat to wear to her son's wedding using embroidered dupion silk and a vintage pattern. Laura's wedding dress was made from some gorgeous silk double crepe. I was particularly proud of this one as it involved not only sewing some very expensive fabric, but I worked with a notoriously difficult Marfy pattern. 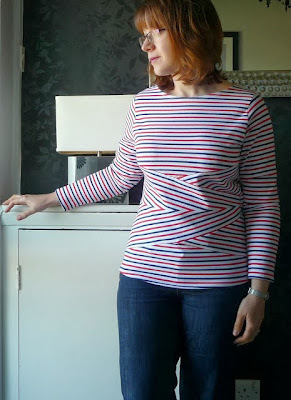 Something much simpler now, a self drafted striped jersey top. This was certainly a lesson in matching stripes! I've worn it loads and love it. My final pick isn't wearable. 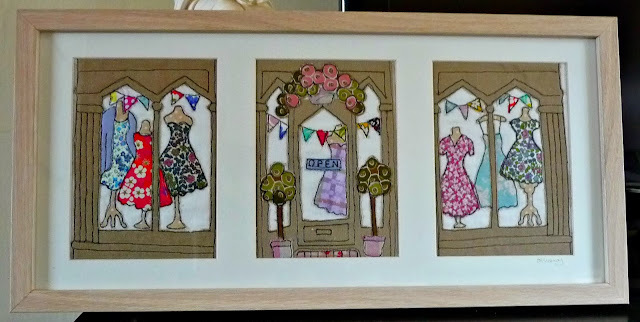 I couldn't do a top 5 without including one of my sewn images, and I picked this one. I was going to try and sell it, but I think it might end up finding a place on my wall somewhere! I hope you've enjoyed the tour round my top 5 projects of the year. I'll be back soon with some thoughts on less successful projects, and things I'd like to achieve in 2014. Thank you Judith, yes it was lovely to make Jenny feel so special in her outfit. Lovely picks! Your Anna dresses are gorgeous and that wedding dress is just beautiful. I really like the picture too, it's so original. Love your beautiful dresses.. Fabulous!! Thank you Judy. I do love dresses! I love your embroidery pieces so much. Love that maxi anna dress, too! Excellent picks, Sam! You had a lot of great projects this year to choose from! I'm so glad to read you're keeping the triptych for yourself - it is just gorgeous! Thanks Gail. 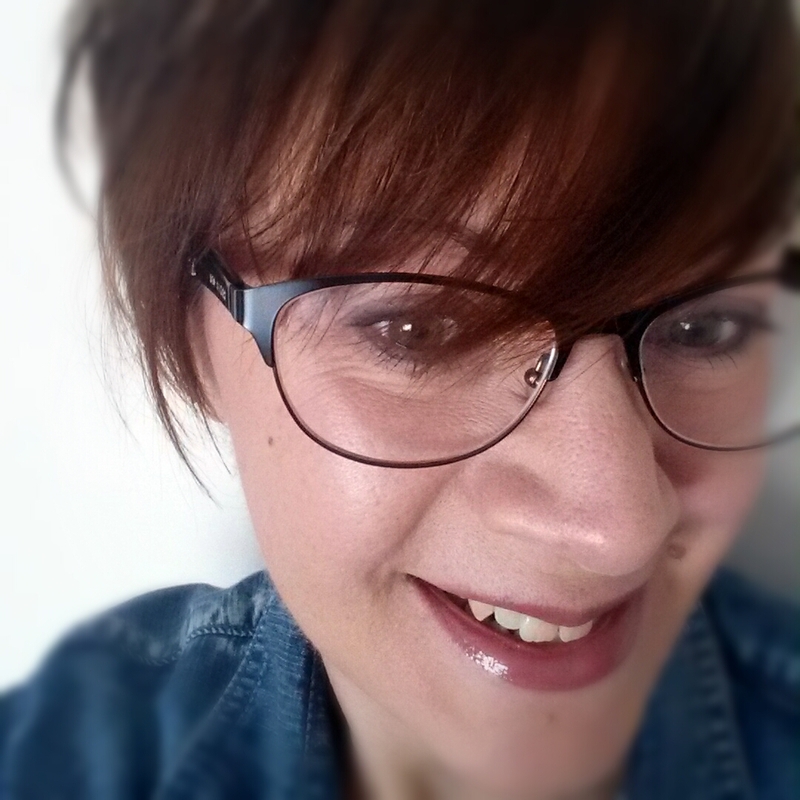 I need to find a better way of keeping track of my projects, as when I came to write this post I could think of what I'd made! LOVE your sewn picture. This is a great list of hits.